Certain U.S. States have historically used their own forms due to state regulations or laws. For the states listed here, The U.S. Department of Housing and Urban Development (HUD) requires the state mandated form, not the NPMA-33, be used for wood destroying inspections. Click here for more information. Mark your calendars for the 2015 Wildlife Expo, February 3-5 in Myrtle Beach, SC for an educational program that will provide both technical and business-related information to professionals who are involved in wildlife management or are considering offering this valuable add-on service. Click here for more details. Do Sunspots and Other Geomagnetic Disturbances Contribute to CCD? Colony collapse disorder (CCD) is a poorly understood phenomenon that afflicts some honey bee hives. It is characterized by a specific suite of symptoms: high loss of worker bees from the hive, while the queen, brood, and honey remain and appear normal. Even more puzzling is the lack of dead workers near the hive, it appears that they just disappeared and will never return. Several possibly explanations have been offered, but as of yet, a definitive cause or causes eludes bee researchers. New research by Dr. Thomas E. Ferrari explored the possibility that disruptions in geomagnetic fields, through sunspot events and normal fluctuations, prevents normal orientation by bees. Honey bees make use of, and partially rely on, magnetoreceptors to help them navigate when they are foraging and return to the hive when they have finished. To test this hypothesis, magnetized wires were attached to foraging bees and released at varying distances from their hive. In addition, some bees were exposed to artificially fluctuating magnetic fields during their return. Compared to control bees, treated bees were significantly less likely to return to the hive. This paper, titled, ”Magnets, magnetic field fluctuations and geomagnetic disturbances impair the homing ability of honey bees (Apis mellifera)” was published in the Journal of Apicultural Research and can be found here. A bipartisan Dear Colleague letter is being circulated in the U.S. House of Representatives seeking to generate additional signatories on a letter to Secretary of Agriculture Tom Vilsack asking that he withdraw a pending Animal and Plant Health Inspection Service rulemaking increasing existing and establishing new Agricultural Quarantine Inspection fees including a $375 treatment for each import fumigation. NPMA worked closely with Congressman Bradley Byrne of Alabama and Congresswoman Frederica Wilson of Florida on the Dear Colleague and letter to Secretary Vilsack. Click here to see the Dear Colleague and letter. Click here to email your Representative asking that he or she sign on to the letter. 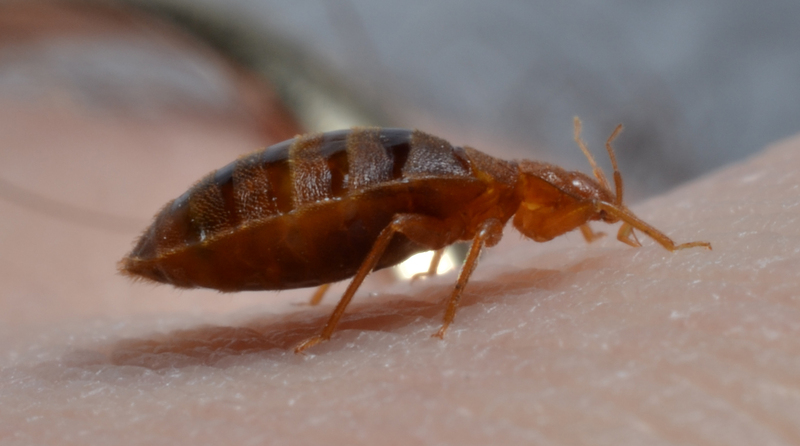 California Governor Jerry Brown last week signed into law a bill extending the statutory authority of the Structural Pest Control Board from Jan. 1, 2015 to Jan. 1, 2019. Senate Bill 1244 also defines a number of terms, adjusts various fees, deletes obsolete provisions pertaining to the definition of fumigants and fumigation procedures, and authorizes, in specified circumstances, waiving the use of warning agents in conjunction with fumigants. Click here to read SB 1244. Governor Brown also recently signed into law legislation prohibiting the use of the second generation anticoagulant rodenticides (SGARs) brodifacoum, bromadiolone, difenacoum and difethialone in state parks, wildlife refuges or state conservancy. Assembly Bill 2657 also directs state agencies to encourage federal agencies to comply with the prohibition on the use of SGARs. Click here to read the new law. The Florida Department of Agriculture and Consumer Services announced “Operation Cleansweep,” a mobile pesticide collection program that provides a safe way to dispose of cancelled, suspended, and unusable pesticides at no cost for the first 500 lbs. for PMPs and other pesticide applicators. For more information, contact: Shannon Turner at (877) 851-5285 or Cleansweep@freshfromflorida.com or visit http://www.dep.state.fl.us/waste/categories/cleansweep-pesticides/. Heron announced the recent addition to its executive staff, and new CEO, Greg Clendenin. Terminix recently announced it has acquired substantially all of the assets of Groupe Cameron, a Quebec, Canada-based company. U.S. Pest has hired Rick Silvia as Vice President of Sales and Operations. Visit my.npmapestworld.org to download pest pictures.